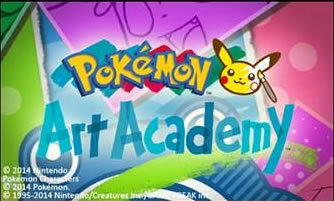 Released on Nintendo 3DS, Pokémon Art Academy is a crossover between the Art Academy series and Pokémon. This Spin-off will teach the player how to draw, using a variety tutorials which gradually increase in difficulty. Alongside the drawing lessons, the game showcases few additional fun features such as the Free Paint Mode and the Miiverse Functionality. 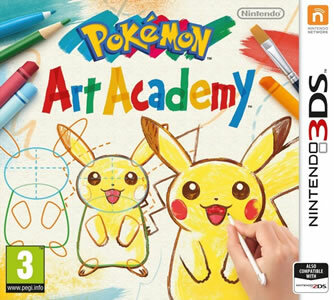 In this Educational Drawing game, the player will join the Pokémon Art Academy, aiming to become a great Pokémon card painter. There, Andy, the one managing the academy, will take care of the player and teach them all they need to know about drawing. The player will go through many tutorials and lessons which will get harder and harder, every time. The lessons will teach the player the required skills for drawing and give them a lot of tips, on how to do it the right way. The lessons fall under 5 categories : Starter Lessons, Novice Lessons, Apprentice Lessons, Graduate Lessons and Bonus Lessons. Each of these categories has a number of lessons, using a variety of drawing tools. Each of those lessons too, has up to 3 Mini-Lessons or Quick Sketches within them, that aim to restudy the techniques introduced in the main lesson and would unlock the template used in the Free Paint mode, after they're fully completed. After finishing the lessons in a category, the player will have to pass the category test, in order to move to the next one. Starter Lessons : There are three in total, in which the player will learn the very basics. They need to complete one of them to unlock the Novice Lessons. Novice Lesson 1 : Teaches basic of portrait drawing. Novice Lessons 2 : Teaches line thicknesses and making drawings from several angles. Novice Lesson 3 : Teaches the use of outline colors while drawing. Novice Lesson 4 : Teaches the player how to use construction shapes in drawing. Novice Test : Tests the player on all the different material presented in the Novice Lessons. Apprentice Lesson 1 : Teaches about shading techniques. Apprentice Lesson 2 : Teaches about Hatching and using a pencil in drawing. Apprentice Lesson 3 : Teaches the player about Opaciity and the use of paint. Apprentice Test : Tests the player on the techniques introduced in the Apprentice Lessons. Graduate Lesson 1 : Teaches about smudge and pastels. Graduate Lesson 2 : Teaches the player about automatic shading and doing outlines using the pen. Graduate Lesson 3 : Teaches more about lighting and shading in drawings. Graduate Test : Tests the player on all the features introduced in the Graduate Lessons.Bonus Lessons : These lessons will make use of all the features and techniques introduced in the previous lessons, in order to draw complicated and advanced drawings. This mode allows the player to freely draw anything, using all the material they unlocked in the game from templates to images. 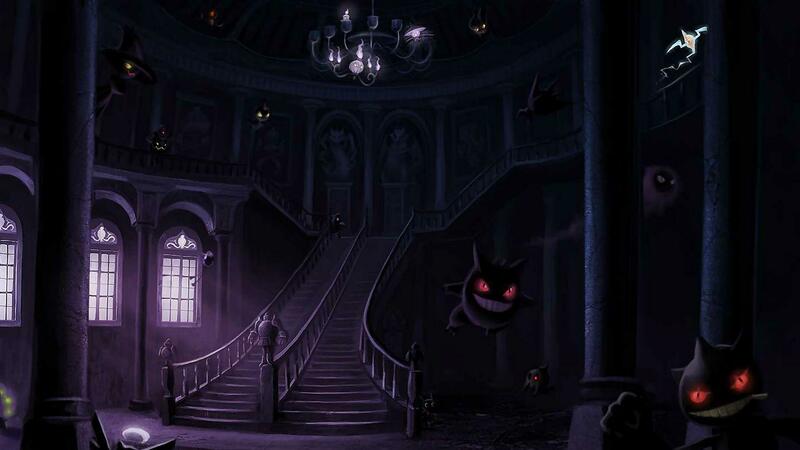 The player may select an image as a guide or as background, or they might simply continue with the free painting. 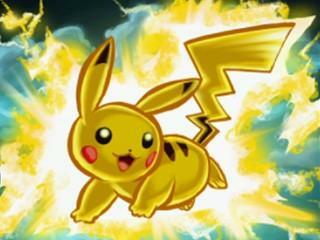 It is also possible to use images taken by the 3DS' camera. This feature allows the players to connect to a special social network designed for the Nintendo 3DS and the Wii U users. 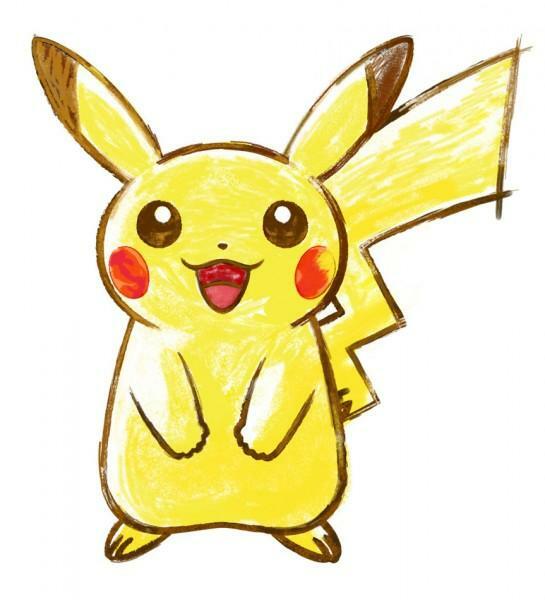 There the players may share the images they drew with the community, communicate with other community members and joining special contests organized by the Pokémon Company. Entry Card: The very first card the player is given, and doesn't require any lesson to be completed. Novice Card: Requires the completion of the Starter Lessons. Apprentice Card: Requires the completion of the Novice Lessons. Graduate Card: Requires the completion of the Apprentice Lessons. Ilustration Master Card: Requires the completion of the Graduate Lessons. Grand Master Card: requires the completion of all the Lessons and Mini-Lessons available in the game. This feature functions as a storage for the images the player has completed and saved. 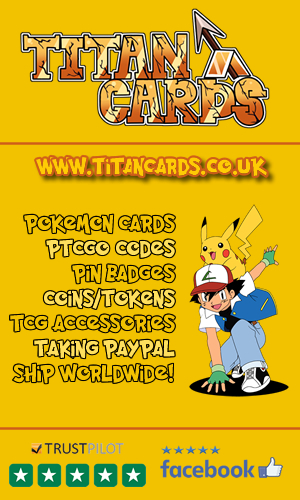 The images will be saved on Pokémon trading cards and can be edited within the Free Paint mode, shared to the Miiverse community, saved in higher formats, named or even deleted. 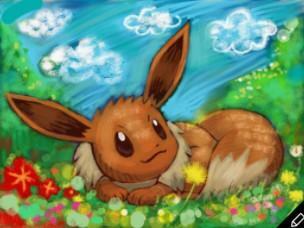 Pokémon Art Academy is the first 3DS game to feature the Miiverse functionality and the first game in the Pokémon series to be developed in the United Kingdom. The game is also the first spin-off game for the Art Academy series. The "Eight Rules for drawing Pokémon" feature illustrations from the official Pokémon Trading Card Game cards. Within the first three weeks of its release, the game sold nearly 57 thousand copies in Japan, 56 thousand in Europe and around 16 thousand in the USA. The sales increased slowly, reaching a final number of 168 thousand copies sold in Japan, 123 thousand in Europe and approximately, 165 thousand in the USA, with a global number of 0.5 million copies sold around the world. On Metacritic, the game scored 76%, over 22 critics and received a 77% score from the Official Nintendo Magazine. Although the GameSpot and IGN executives didn't review the game, most of the fans' reviews gave the game above average scores.